Worldwide best seller, Ecological Compound, is adorned with a unique decoration imagined like a delicate and colourful watercolour by the artist Elzbieta Radziwill, in this Limited Edition collector's item. 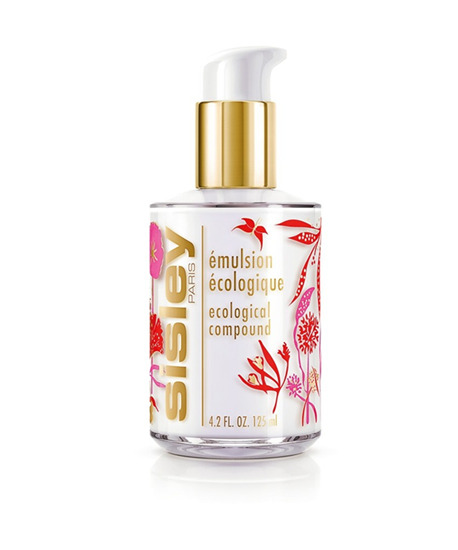 Ecological Compound is an essential revitalizing and hydrating skin care product. Formulated with a synergistic compound of plants (Centella Asiatica, Ginseng, Rosemary, Hops, and Horsetail) selected for their stimulating and revitalizing it works to: - hydrate the epidermis, and restores comfort and radiance - help skin fight environmental stress (pollution, cigarette smoke etc) - restore tone and suppleness Its fluid, non-greasy texture leaves skin with a matte appearance.